Compatible with Dell Inspiron 11 3147. Condition:New pull from laptop Looks clean. Dell P/N: 5547 0JYP58. for DELL INSPIRON. For Dell Inspiron 15-3000 3000 Series. 2x 3 RCA AV Audio Video Female to Female Jack Coupler Adapter 3RCA Connector. the Laptop Model and Layout Version. It can be used interchangeably. 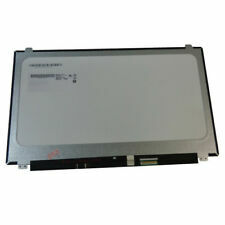 ● Part number: 0T9X28 T9X28 08FGMW. Hearing Assistance. Laptop Hard Drive Cover Caddy. ADD TO FAVS. new arrival. ● New and in Good Condition. ● You will receive what picture shows. TV/Monitor/Projector Parts. FITS: INSPIRON 11-3000 model 11-3168 11-3169 GRAY with Part NUMBER 46MKG. Pulled out by a certified technician from a never used laptop. Last picture is the picture of donor laptop. No actual Laptop and other accessories included. 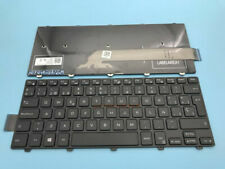 Laptop Keyboard for Dell Inspiron. 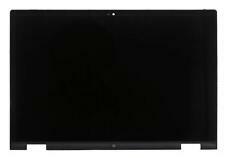 Dell Inspiron 14 3421 3437 5421 5437 Ng6n9 6h10h. Keyboard Us Layout. Layout: Us Layout. Compatible Part #'s: 3NVJK. Dell Inspiron 15 (5565), (5567), (7566), (7567). 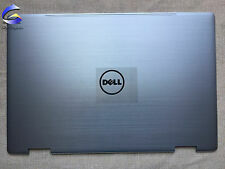 Dell Inspiron 17 (5765), (5767). Laptop Keyboard Skins. The guidelines are below. Printer Parts & Supplies. Laptop Hinges & Brackets. New laptop replacement keyboard. This notebook keyboard is the non-backlit version. Compatible Part #'s: X38K3, T5M02, 65JY3, AER01U00010, NSK-DX0SQ 01. 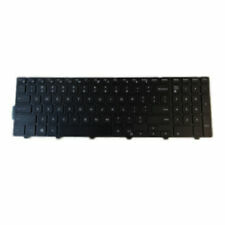 Compatible Models: Dell Inspiron 14Z (N411Z), 15 (3520), 15R (5520), 15R (7520), M5040, M5050, N4110, N5040, N5050, P20G, P22G, Dell XPS 15 (L502X), Dell Vostro V131, 2420, 2520, 3550, 3560. New Dell Inspiron 1540 1545 1410 PP41L P446J 0P446J NSK-9301 black keyboard. 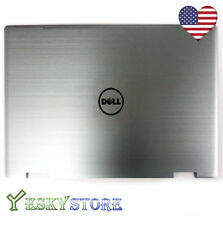 Dell Inspiron 1540 1545 1410 PP41L P446J 0P446J NSK-9301. 1 x New Dell Inspiron 1540 1545 1410 PP41L P446J 0P446J NSK-9301 black keyboard. 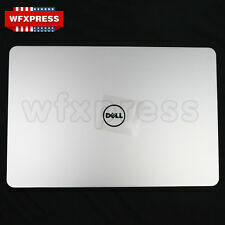 Dell Inspiron 1318, 1420, 1520, 1521, 1525, 1525SE, 1526, 1526SE. Keyboard color is silver. Laptop Keyboard Skins. Laptop Keyboards. Dell Vostro 500, 1400, 1500. Laptop Batteries. Laptop DC Power Jacks. Dell Inspiron 15-3567 15.6" Genuine Laptop Bottom Case Base Cover X3VRG "A"
New Original Laptop Keyboard for Dell Inspiron 15 7000 715-7547 15-7548 15-7558 15-7568 Backlit US. the Laptop Model and Layout Version. It can be used interchangeably. Hope you understand. Type: Laptop Keyboard. 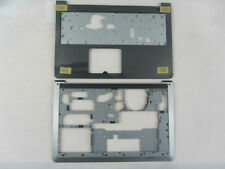 Dell Inspiron 3520 complete screen assembly. A few minor scuffs but in great condition. Pulled from a laptop with failed motherboard.